Software can be used in just about any type of business to boost efficiency. The best platforms make it easier to manage many individual tasks. As a catering business armed with the right type of software, you could ensure correct execution of processes, from order tracking to delivery. Your platform could help enhance customer satisfaction as well as your sales and profits. Here are five top ways the right software could drive your business forward. A centralized catering platform could offer you a better overview of your business. You can check, track and review all the moving parts and ‘zoom in’ when you need more detail. The larger your catering operations, the more benefit this big-picture view might provide. For example, you could track multiple facilities, their production logs, customers, and delivery efficiency. You could assess how menu items are performing and create plans by using calendaring tools. You can generate different types of reports to help you track each task, event, or aspect of your operations, to understand how different elements impact each other and how your business can be better managed. The analytics benefits of using a reputable catering platform helps you obtain the numbers, benchmark your performance and ensure you’re investing in the right areas. Finally, the customer relationship management (CRM) functions—which a quality catering platform should have—could drive successful sales strategies and lead to stronger customer relationships. This is because a CRM gives you a customer overview that includes orders and communications by customer. A quality, full-featured catering platform can make it easier to manage your orders, by providing you with a centralized hub for managing everything to do with your orders. For example, the software could allow customers to order online and include instructions for the kitchen and delivery service. If you have multiple locations and menus, the ordering system could allow customers to choose the right location and menu. On the back end, a cloud-based system could allow personnel to record and track orders in the one place, no matter where the staff member is. In contrast to a manual, paper-based order-recording system, you have a centralized platform where all staff members can check up-to-date order details at any point of the cooking and order-fulfilment processes. Additionally, you can make use of automated features like order confirmation, quotes, and invoices to keep customers updated and to automate your records. These could save you time and reduce the risk of order errors. As you grow, the centralized platform could help you scale up quickly by letting you tracking high volumes of tasks, activities, and orders, which could be impossible to do manually. The right catering software could enhance payment security and accommodate multiple payment options so customers can pay in their preferred way. Quality catering platforms should allow you to automatically generate invoices and send them. They should also have features like automatic order confirmation. These features could help you improve customer satisfaction, keep accurate records, and reduce the need for manual inputs and checks. 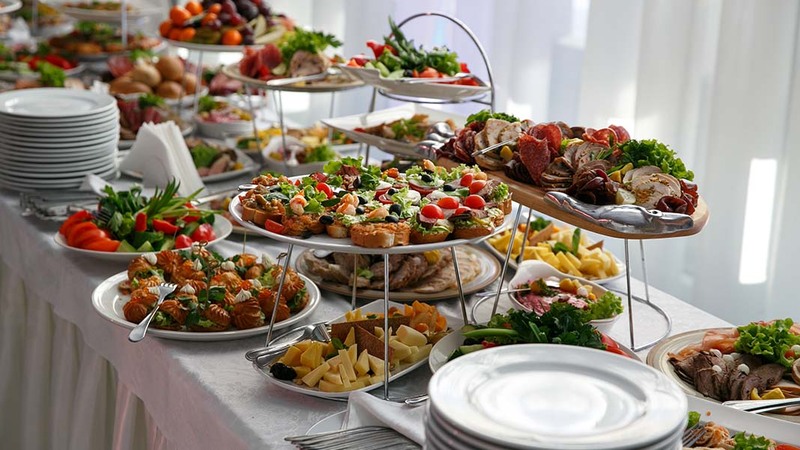 A great catering platform should integrate with your preferred accounting or payment platforms, making it easy to generate and store your tax, sales and other vital records. A great catering system lets you work out what your staff are doing for each order, as you’ll be able to track your orders in a centralized order database. At the same time, if it’s a cloud-based system, your staff can access the system from anywhere, whether they’re in the kitchen, away on a catering site, or making a delivery. This means every staff member has access to the same order details, which could help you avoid order errors or inconsistent service. Your staff need to execute an extensive list of tasks from order to delivery, and so your catering software should enhance the process rather than hinder it. With each order, you might need to purchase and store ingredients, provide cutlery, check equipment is safe, and manage kitchen and service staff. You might need to make sure health and safety checks are done, and liaise with customers to fulfill the order. This and much more need to be done in strict time frames, and so it’s vital to have something that helps you track the numerous individual tasks and elements of every order you’re working on. A quality catering software platform could be the best investment you’ve ever made for your business. A centralized platform allows you to better manage different elements in your operations, and it lets you track and share order details among your team. You can automatically process and track payments, and you can use the software to streamline the multiple tasks required to complete an order. Implemented correctly, your catering software could boost your operations, improve customer satisfaction, and lead to higher sales and profits. Jacqueline Coombe has been a prolific reader since childhood, and now channels her love of the written word into writing content on a range of topics from business, marketing and finance to travel and lifestyle. 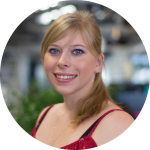 Jacqueline is also a Principal Consultant specialising in Search + Content Marketing at international digital marketing agency Web Profits.